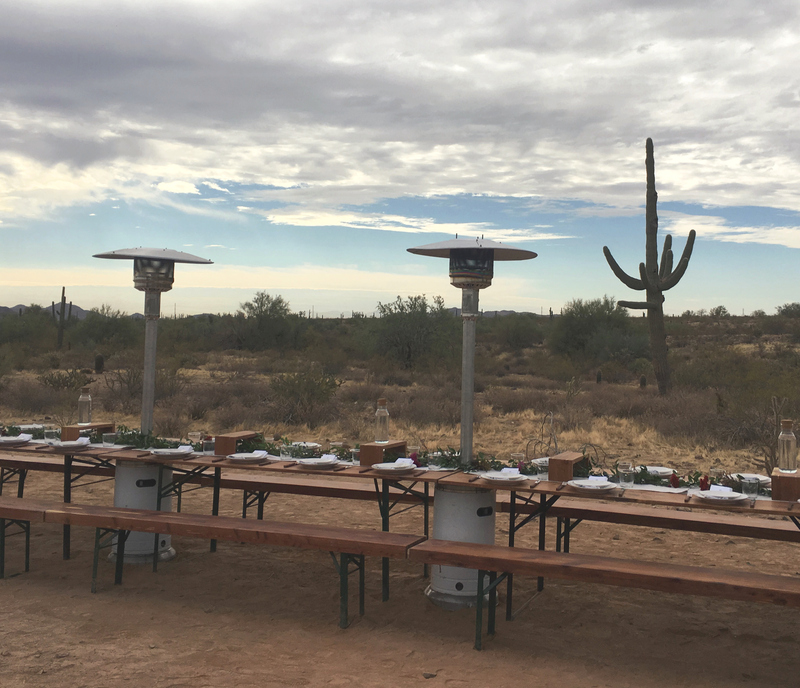 We had the chance to experience a spectacular desert brunch this past weekend, held near Lake Pleasant among the saguaros and cholla. After driving out to the meetup location, we were transported in a vintage bus to our pop-up dining spot. Each course impressed, from the risotto cake with tomato confit sauce to the panna cotta with fresh fruit and basil. 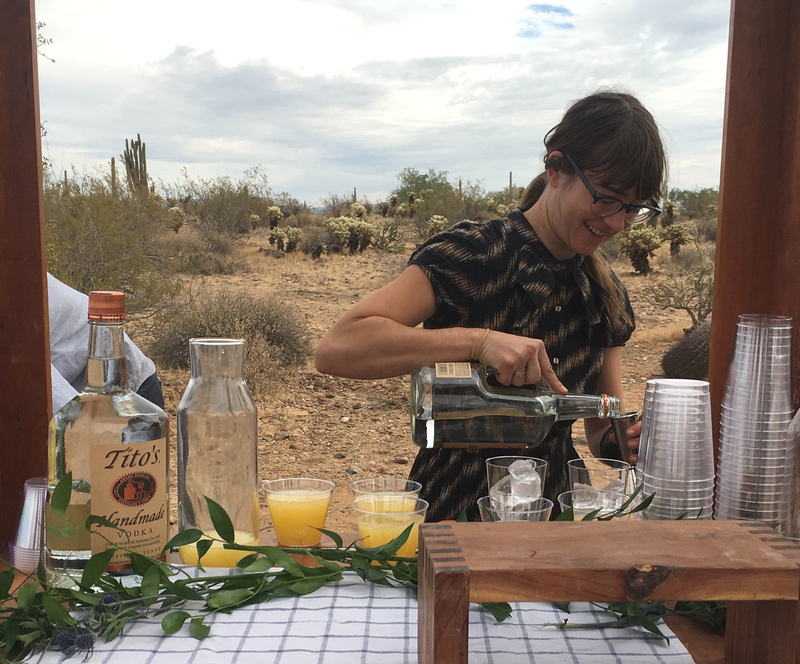 Along with cold brew coffee, the Cloth & Flame team served up bloody marys and mimosas from the cocktail cart. Their events are a great way to explore the desert, celebrate something special and meet new people. Cloth & Flame also does dinners in Sedona, Joshua Tree and Portland. 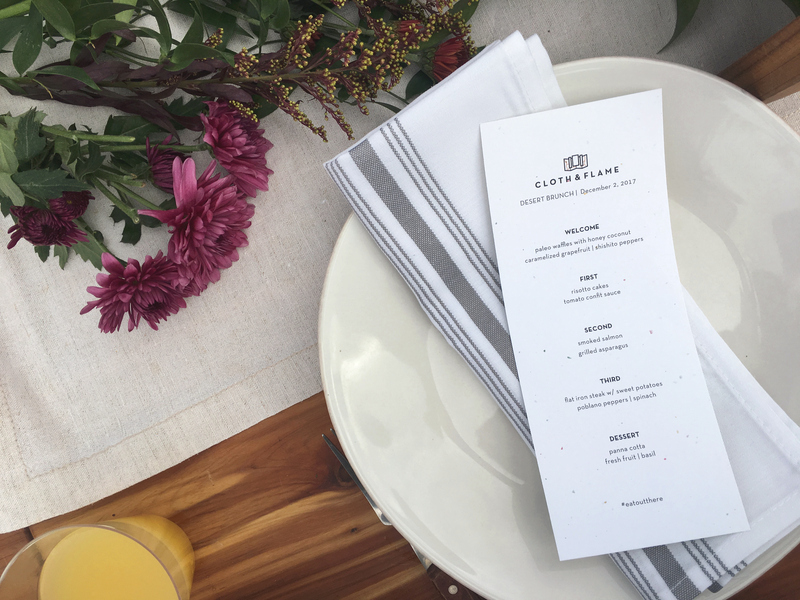 Click to see all their upcoming events and schedule a one-of-a-kind dining experience you’re sure to remember.